Windows 10 preview build 14367 is boring with a capital "B," and that's really exciting. Microsoft put a temporary hold on releasing new features for Windows Insiders earlier this week, but new builds are still rolling out as Microsoft focuses on bashing bugs. The company released build 14367 to the fast ring for PC and mobile late Thursday. 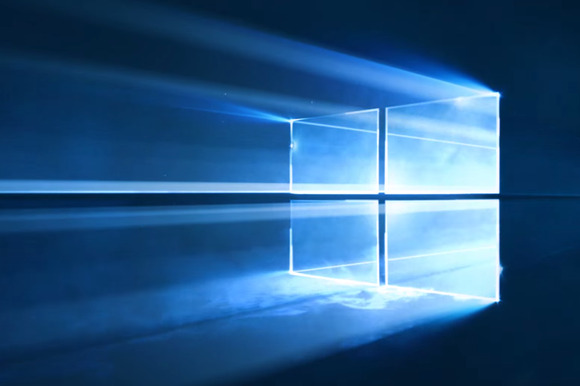 Despite the official lack of new features, this build offers a few interesting tidbits as we get closer to the official Windows 10 Anniversary Update roll out in the coming weeks—including one that makes it easier to banish bloatware from your PC. The story behind the story: Microsoft recently declared June to be a “Bug Bash” month and is pushing insiders to complete tasks (known as quests) in order to test certain parts of the operating system. With a focus on fixing bugs and a freeze on new feature releases it sure seems like we’re getting closer to the Anniversary Update roll out. The latest rumors are still holding fast to July 29—the original release date of Windows 10 just one year ago—as the day the Anniversary Update will become available. For Windows 10 fans looking forward to receiving phone notifications on their PC, Microsoft said the feature is now more reliable. Notifications from your phone will also now appear in a separate “Windows Phone” group in Action Center. Despite the name, Microsoft didn’t explicitly call out this “feature” as a Windows 10 mobile exclusive. Presumably, Android users with Cortana on their phones will see this change to the Action Center as well. The Start Fresh utility is here after first being tipped in May. The tool actually hit the Internet on Wednesday after leak-a-holic Walking Cat found the download link for the tool on Microsoft’s download site. Start Fresh is designed for Windows Insider PC builds (14342 or later), and lets you more easily clean install Windows 10 Insider builds. However, Microsoft says that using the tool doesn’t guarantee you’ll end up installing the latest fast ring build. That means you may have to hit Windows Update to get to the latest version—you’ll also have to rejoin your preferred Insider Preview ring as the start fresh tool doesn’t set that automatically. Finally, Start Fresh removes all software and apps that don’t come with a standard Windows 10 build—including the full Office suite. On the plus side, it'll also fully remove all any crapware installed by your PC's manufacturer, which the standard Refresh and Reset options don't do. There are all kinds of other caveats you can read about on Microsoft’s site. But the basic gist is don’t use the start fresh tool on anything but a test rig that doesn’t have mission critical data or apps on it. Finally, buried down at the bottom of Microsoft’s blog post announcing the new build, the company said it would be removing Kids Corner from Windows 10 Mobile and Windows Phone 8.1. Kids Corner was a feature designed to create a controlled space on your phone that children could use freely without getting into your corporate email or other data they shouldn’t be accessing. As with the removal of Wi-Fi Sense in May, Microsoft says it is dumping the feature because it could no longer justify the cost of maintaining it with so few Windows phone owners actually using it.